There are a few events to look out for if you’re trying to catch a BLBW event this August. Starting August 14th at 7:30pm they are partnering with Collaboraction to host the “Our America Party.” Part of a greater “Our America” series, this project asked local people of color, LGBTQ+ and female playwrights and directors to speak on the state American Dream. Artists featured include Arti Ishak, Rohina Malik (Yasmina’s Necklace can be seen at the Goodman later this year), Dana Lynn Formby, Tanuja Jagernauth, and many more. 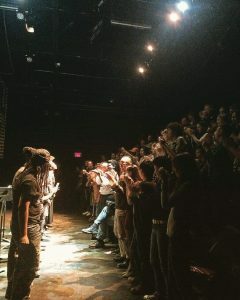 On August 21st, Black Lives Black Words is hosting a TEDTalks inspired speaker series called THE ARTIST SPEAKS, where legends such as prominent director Ron OJ Parson, and Malik Gillani, Artistic Director of Silk Road Rising, will speak to the history and state of the arts in America, and what lies in the future. These events culminate in the third Black Lives, Black Words Event, this year to be held at Victory Gardens Theater August 22nd at 7:30pm. What’s different about this year? Every piece is written, produced, and directed by black women and femmes. 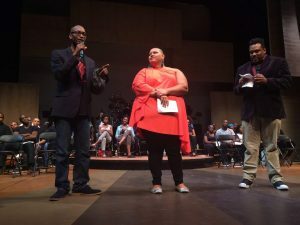 Playwrights include Loy Webb, Nambi Kelly, Adia Alli, and directors include Nicole Michelle Haskins and BLBW’s Executive Director, Simeilia Hodge-Dallaway. 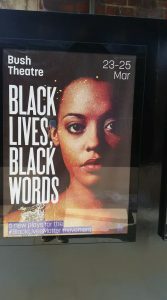 Tickets are an accessible $10-13 for events, check out http://www.blacklivesblackwords.org for more information!